The Christmas story—a story more richly faceted and intricately layered than we'll ever truly comprehend. It's the story of a love so powerful and compelling that somehow, we can't help repeating it each year. 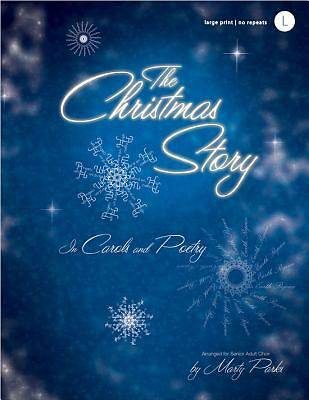 The Christmas Story, especially designed for the Senior adult choir by Marty Parks, weaves many familiar songs together with some great new sounds. The simply beautiful harmony of "A Christmas Hymn," the triumphant beat of "Angels We Have Heard on High," and the Jazzy sound of "Wonderful Counselor" are just a sampling of the 10 uniquely arranged songs included in this musical that everyone will enjoy.